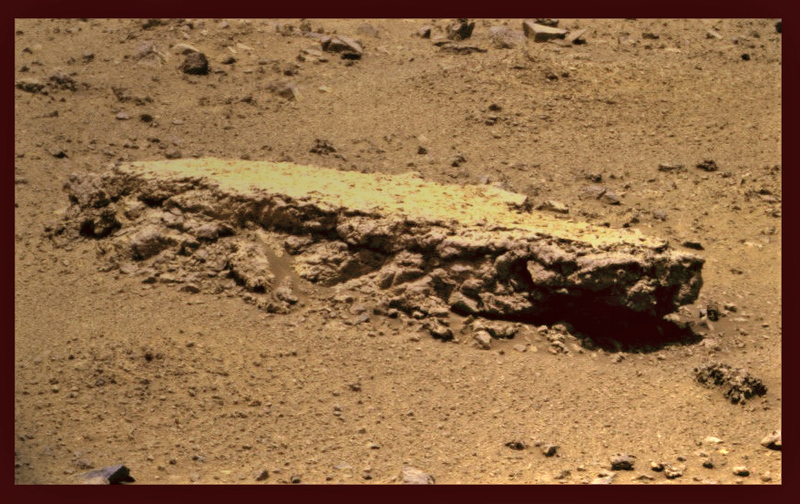 Today's Mars photo is of the slab of rock that Mars Exploration Rover Opportunity is set to begin examining. This rock has been given the name Tisdale and many expect that Opportunity will spend at least the next few days there, examining the rock itself and the surrounding area. Tisdale has been a target for the MER team since Opportunity first rolled up to Odyssey Crater. Click the photo to go to see all of NASA's photos of Tisdale from Sol 2688.